The one who’s fun to be around, woaaahhh woah. She’ll throw your life into a whirl. Pippi was one of my HEROS as a child. My copy of “Pippi and the South Seas” is probably one of my most read and beloved chapter books from the golden age of reading real chapter books on your own. She was so wild, fearless, strong, and independent. AND she had a pet monkey and a horse!? What’s not to love? So, when I had the chance to visit Astrid Lingrend’s childhood home and the museum outlining the author’s life, I obviously lept on the chance. Astrid grew up near the idyllic town of Vimmerby in Smaland in the south of Sweden. It was here that she spent what sounds like a wonderful childhood and this influences her later writing. This is her childhood home: She also was a proficient jazz pianist and a big fan of music. Astrid sounded like she had a zest for life that never really left, depsite difficult times. She ended up moving to Stockholm after becoming pregnant (the father was the married chief editor of the newspaper she worked at). She gave birth to her son and left him in the care of a foster family for a while in Copenhagen, before eventually sending for him to join her in Stockholm. Her time in Stockholm sounded difficult, and the representations of cities in her books are much less kind than her treatment of the pastoral countryside. She married Stur Lindgren (a different boss! Also a married man, who left his wife for her! The scandal!) and gave birth to her daughter Karin. And this brings us to the birth of Pippi. 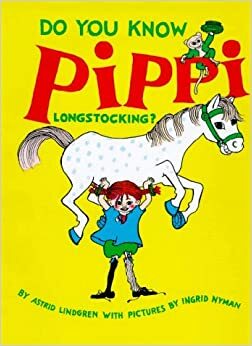 Astrid had created the story to occupy her daughter, and ended up typing up the stories of Pippi to give to Karin on her 10th birthday. Astrid since became a prolific writer, publishing dozens books, and winning many prizes (somewhat controversially, she was never awarded the Nobel prize in literature). Her books have been translated into many languages and have delighted millions of people worldwide. Astrid seemed to be spirited and engaged in the world her entire life – climbing trees and taking names. She became a political activist for animal rights and the rights of children, gaining much prominance in Sweden. The visiters centre and gardens around her home are filled with art, flowers, and things to explore. The whole place made you want to explore, move, and enjoy. It seems like a dreamy imagination land, and I think Pippi would have approved. I loved this large installation piece which was 7 wishing jars, where you could write down your wish and attach it to the branches that created the structure. I definitely recommend taking a few hours to stop by this corner of literary history to reconnect with childhood heros and the spirit of bold imagination that lives inside all of us.